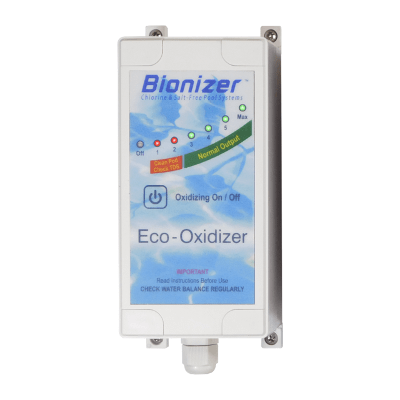 Eco Oxidizer’s electro chemical action forms powerful hydroxyl radicals and natural peroxy compounds (H2O2) which eliminate bacteria, virus, oocysts, protozoa as well as the by-products of chlorine use – such as Crypto and Giardia. The Eco-Oxidizer’s action also eliminates Chloramines and Trihalomethanes which are banned in indoor pools for their effects on humans. This means cryptosporidium is no longer a threat in your Bionized pool, because chlorine is not effective against this oocysts/protozoa unless used at very high levels. Eco-Oxidizer does all this whilst dissolving any fatty substances such as suntan oils, urine and perspiration. Salt systems, in our opinion, are toxic, expensive and corrosive way to treat a pool. 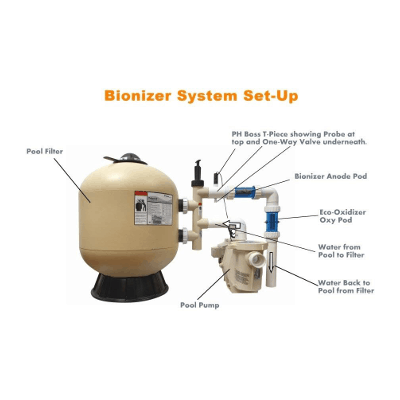 Health-conscious and aware pool owners who wish to avoid high power and chemical costs and avoid chlorine altogether choose Bionizer. 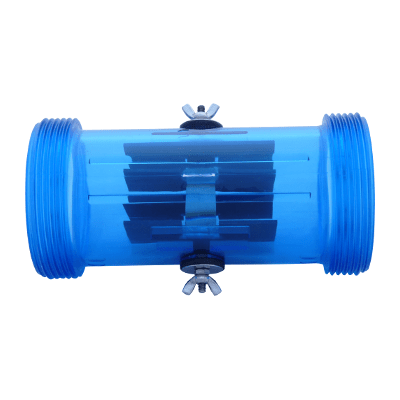 Bionizer is an asthma and eczema safe pool system. The Eco-Oxidizer will rid your pool of body oils, sunscreen and swimmer waste, without you having to manually add chemicals to your pool. The Eco-Oxidizer features a self-cleaning system for the electrodes which will save you time on cleaning and extends the life of the electrodes. Sit back and enjoy your pool while Eco-Oxidizer leaves your pool water sparkling. Eco-Oxidizer doesn’t need any chemicals to keep your pool water sparkling. 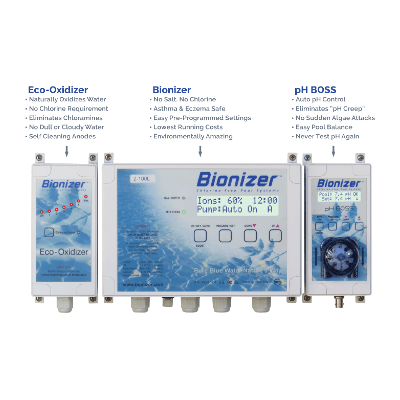 With a Bionizer and Eco-Oxidizer (and pH Boss) you can enjoy your pool free from chemicals. Safe for the environment, safe for your family.